East Devon truck rental specialists, To An Fro are based in Honiton, offering their vehicle hire services throughout the surrounding Devon area. We require a minimum 12 months full licence for all UK rental contracts. Minibus and 7.5 Ton Truck drivers must be over 25. Devon vehicle hire specialists, To An Fro are based in Honiton but offer a hire service for a variety of vehicles including vans, minibuses and lorries for people throughout the East Devon area. If you are wishing to hire one of our vehicles the driver must present us with a full, current and valid driving license for the vehicle hire. If a valid license is not provided then vehicle hire will be refused. 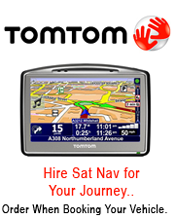 While using our hire vehicle we advise that you keep your license with you. As well as the drivers license we request two additional forms of identification. If you wish to check what documents we accept please get in touch. On some vehicles we take a deposit on booking. Otherwise a deposit of at least £75.00 is required in addition to the estimated rental charge when the vehicle is collected. The deposit for the vehicle will be fully refunded upon the safe return of our vehicle when returned within the stated hire period.